If you’re the type of person who sees the bigger picture, then you may know your oral health is about being more proactive than reactive. This approach takes less time and money to prevent dental issues before they become bigger and expensive problems. When you’re searching for a dentist, you need someone who can help you prevent problems before they happen and provide lifetime solutions. At The Gorman Center for Fine Dentistry, Dr. Gorman focuses on YOU – not just your teeth. By using the latest dental technologies and most advanced techniques, your North Oaks dentist can enhance your smile and help keep your teeth for a lifetime. This is what we refer to as comprehensive dentistry, and our North Oaks dental team embraces this concept to unlock your smile’s true potential and a lifetime of optimum oral health. Why Search For a Comprehensive Dentist? Generally, you would need to see many dental specialists, depending on your situation. However, comprehensive dentist Dr. Gorman can address all of your needs in the same office, saving you time and expense. Dr. Gorman has pursued numerous continuing education opportunities to give you the convenience and expertise you deserve. One of his advanced accomplishments is achieving Accreditation in the AACD (American Academy of Cosmetic Dentistry), so you can expect quality, beautiful results from start to finish. With a comprehensive approach, every exam is more than just a “check up and cleaning,” it’s an opportunity to evaluate YOU and your oral health. Why? Because we care about you, not just your teeth. Esthetics: How will your facial characteristics (eyes, lips, nose) complement and highlight your new smile? Function: Is your bite functioning properly? Is it causing wear of your teeth or migraines? Health: How is your oral health affecting your heart and other organs? Having a healthy smile isn’t just important for your oral health, but it’s important for your overall health. Many serious diseases (heart disease, diabetes, oral cancer, and others) can present early symptoms only Dr. Gorman will notice. Thus, making it crucial to have a comprehensive approach at every treatment. What to Expect From a Comprehensive Dentist? This is about your future – not your past. If you haven’t seen a dentist in a while, that’s okay. Our goal is to get your smile healthy now. You’ll not be scolded or judged for the current state of your oral health. Our caring team will ensure your visit is comforting and we work hard to create a trusting environment. To show how comprehensive dentistry is the best type of dentistry, we’re offering a free infographic, which shows how using advanced dentistry techniques can prevent dental problems and fix dental problems permanently. Ready to Meet Your Comprehensive Dentist? Get your dentistry done right the first time. 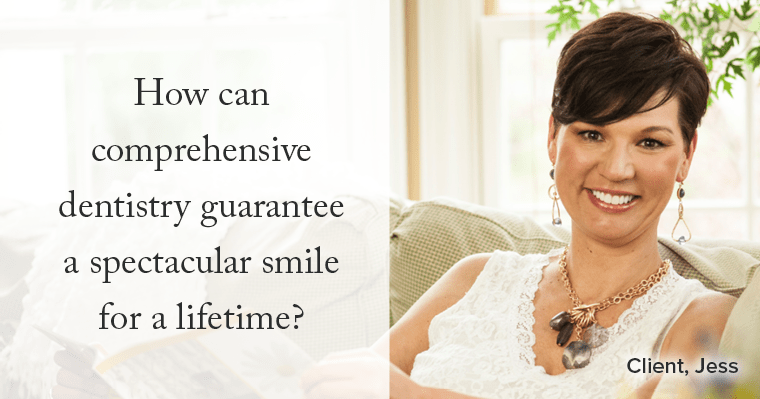 Dr. Gorman is looking forward to meeting you and helping keep your smile for a lifetime. Are you ready to take that next step? Request an appointment with Dr. Gorman and experience exceptional dentistry that’s beyond ordinary.